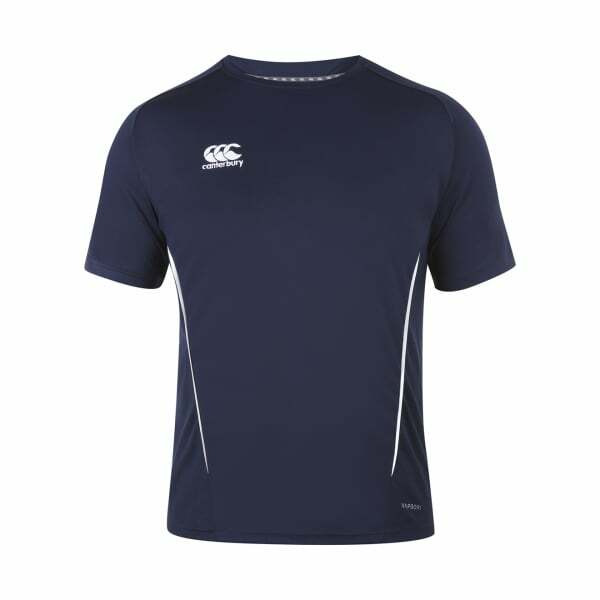 Canterbury’s quality sporting apparel combines the best fabric technology with durable design, and the Team Dry Tee is a great example. Featuring our unique Vapodri technology, this tee will keep you drier and cooler for longer, whether you’re training on the field with your team or hitting the gym for a good workout. The 100% polyester, moisture-wicking fabric helps your body evaporate sweat faster and supports better regulation of temperature, so you can perform at your best while staying comfortable. Designed to let you perform your best, this tee ensures maximum range of moment. You’ll stand out on the field too, with the attractive design incorporating contrast synthetic piping and ribbed crew neck.